Liquid lipsticks have been on the rise; L'Oreal, Revlon, Stila, Kat Von D (to name a few) have all come out with long lasting, 'lip colours'. One of the latest brands to join in with the all the fun is Bourjois. 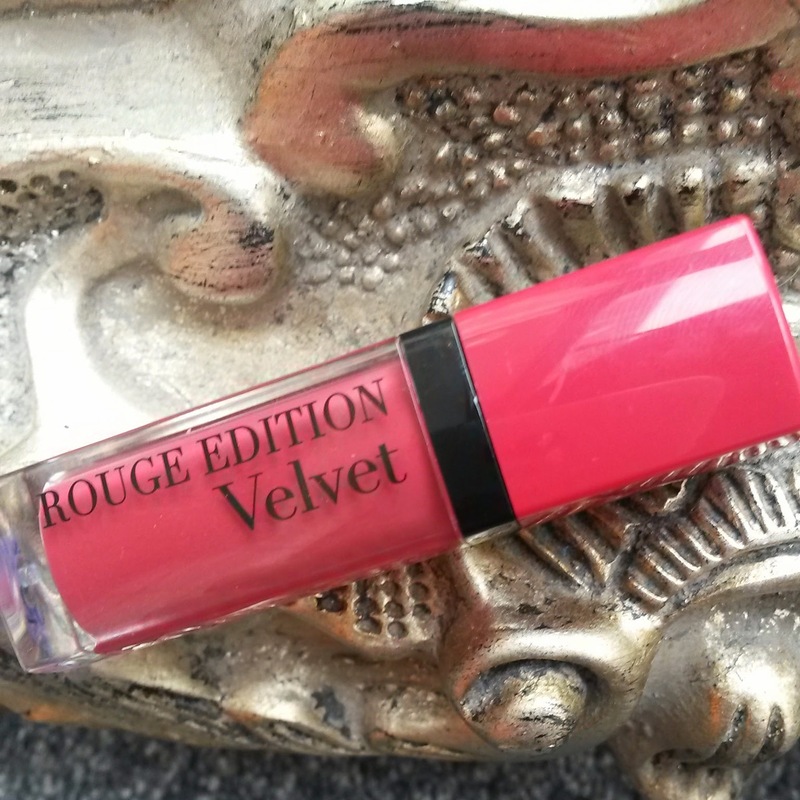 I can't actually recall the last time I bought anything from this brand ...I was probably about 16 years old, but I heard that they had perfected the formula and created an amazing, non-lip-drying, liquid lipstick that puts all the others to shame. It's retailing at £8.99 and there are eight gorgeous shades to choose from. I picked up Frambourjois which I'd describe as a bright pinky red. This is perfect for fellow pale folk who find some reds difficult to wear. 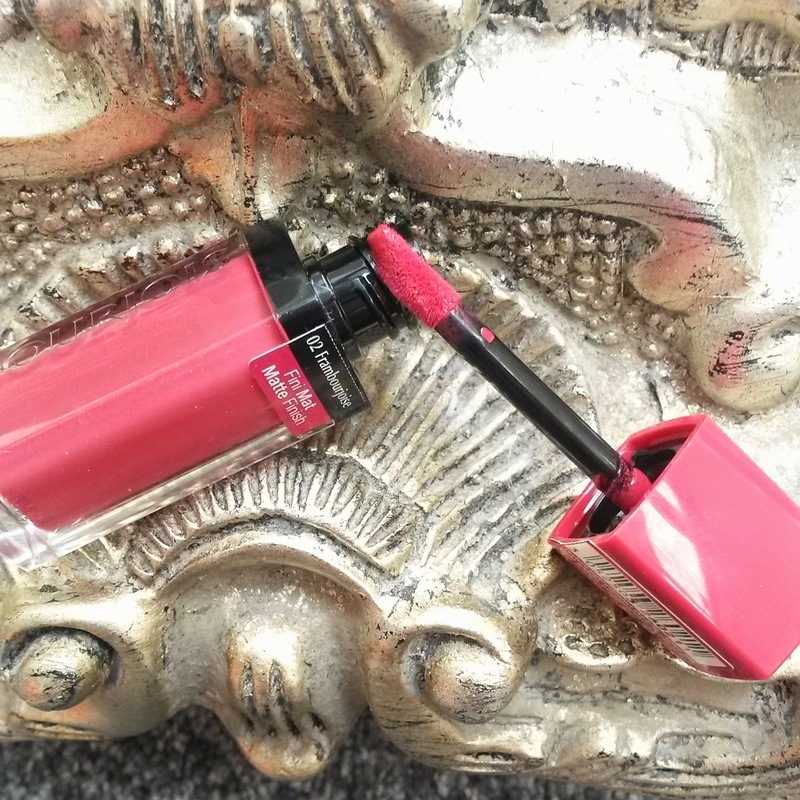 It is bright and it is bold, but the finish can be softened by applying one coat and blending with a lip brush or simply dabbing your finger over the top. For a totally opaque finish I applied two coats as per my pictures. The texture is silky soft (this is where the velvet comes in) and it's really simple to apply (I'd recommend a lip liner for a precise and perfect finish). It dries matte very quickly and although it's one of the more moisturising lip stains, my stooopid lips still struggled after 3 or 4 hours. 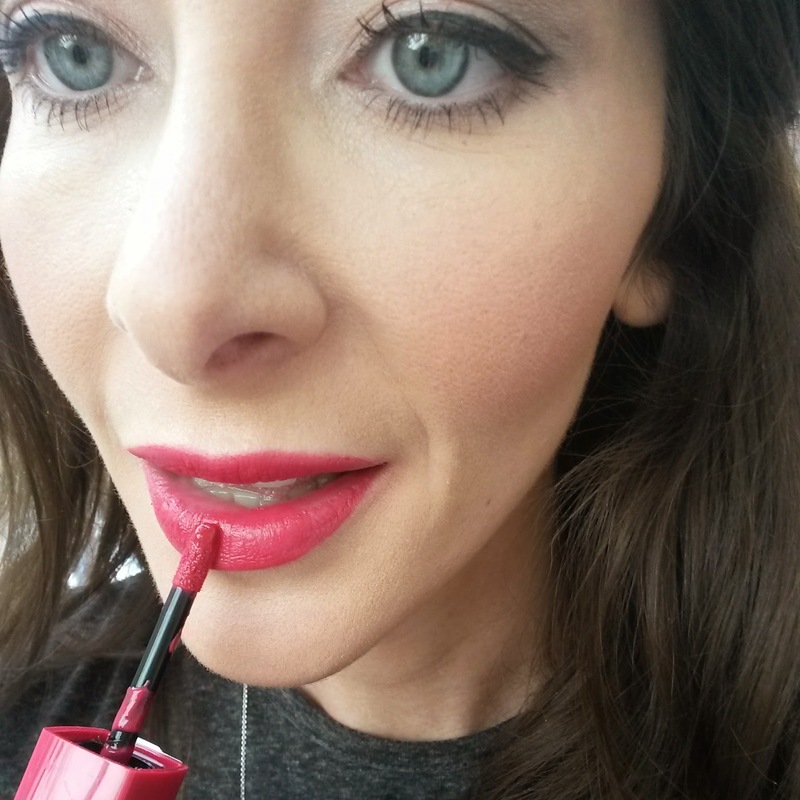 I got over this by applying a lip balm over the top but obviously this made my lips shiny doh! I also wanted to point out that while I was able to eat and drink and still retain a nice colour on my lips, it required touch ups throughout the day to prevent fading. For me this isn't an issue, but just something to bear in mind. I'm so pleased with this product that I'm considering buying more shades ...which isn't something I do very often as I always like to try new things. 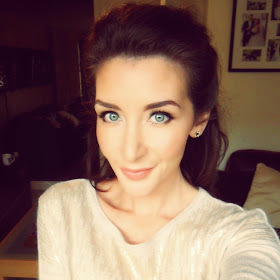 It is a very pigmented and an inexpensive, rich lip colour, that could easily be mistaken as a luxury product. Nice one Bourjois!